The big makeover of Technical Rex is finally here! Visually, a lot has changed. I’m fairly bored with the “flat” look that every site has been going for lately so I came up with the idea of “paper flat”. It’s basically flat but all of the surfaces have a paper texture applied to them and there are slight shadows around all of the boxes. 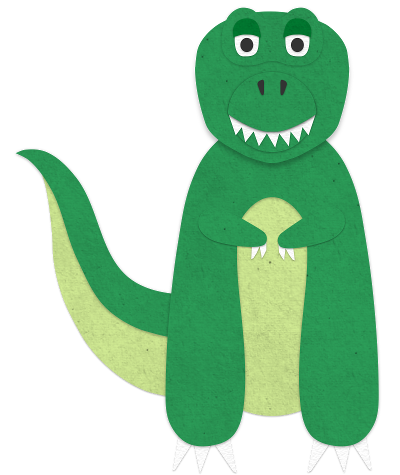 Making the site look like it was crafted out of construction paper is my attempt to make Technical Rex stand out in appearance and also to feel more friendly. And speaking of friendly, how cute is Rex, my business’ new mascot? 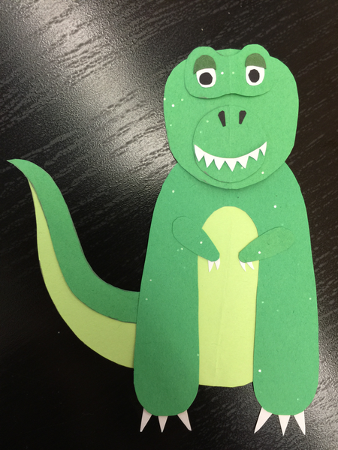 I started the site revamp by cutting Rex out of construction paper by hand. I then recreated all of his parts as SVGs and put him back together digitally. Let me just say that Inkscape is an amazing free SVG tool. When I finished, I was floored by how closely the resulting images resembled construction paper cutouts. I fist pumped for days. The old site was hosted on WordPress.com. WordPress made it easy to get a blog going for my business but that ease comes with a price. Two prices, actually. It costs money each year for the hosting and tools that come with WordPress. Not much money, but that’s where the other price comes in. Control. By paying the bare minimum, I didn’t have much creative control over how the site looked. This summer I finally got to the point where I wanted more control. Luckily, I discovered GitHub Pages. GitHub Pages is free static content hosting. It runs on a locked down version of Jekyll (another badass tool), which means that GitHub Pages can also be used as a free blogging platform. I did a massive migration of all of my content to GitHub Pages, trying very carefully not to break any links. This was a very tedious process. Migrating the individual articles was the single-most time-consuming task for the new site. For the new site I don’t have any new features coming soon. The site should look decent on a phone and I think the theme is complete enough that it should require much maintenance. I’ll just resume my usual blogging here and see how things go. If you notice any broken links, please email me. If there is something visually broken or there is a feature you would like to see on the site, create an issue on GitHub and I’ll get to it as soon as my priorities allow. Now that I’m done, I’m going to start working on Giving Jar again. I’ve solved some of the business model issues identified earlier in the year and am ready to start working on my new baby!